Over four days, beginning with a March 24 flight out of Los Angeles, Bombardier set two significant records during the introductory tour of its Global 7500 aircraft. First, the 7500 reached and sustained its rated top speed of Mach 0.925 for more than two hours; and then the aircraft set a transatlantic city-pair time record between New York and London (certifications pending). Earlier in March, the Global 7500 completed the longest-range business jet flight in history, with a non-stop 8,152-nautical-mile flight between Singapore and Tucson – landing with 4,300 lbs of fuel reserves, representing nearly 1.5 hours of additional flight. Developed as a full-size business jet, the Global 7500 was introduced into the market in December 2018 with Transport Canada, EASA and FAA certification. Equipped with purpose-built GE Passport engines, the Global 7500 is rated for a top speed of Mach (M) 0.925. In holding Mach 0.925 for more than two hours on March 24, the Global 7500’s coast-to-coast flight from Van Nuys Airport in Los Angeles to Teterboro Airport in New Jersey took three hours and 54 minutes, making it the fastest business jet ever to complete this route. On March 27, the Global 7500 then set a city-pair speed record during a transatlantic flight from Westchester County Airport in White Plains, NY, to London Luton Airport. The flight took five hours and 26 minutes, under what Bombardier described as seasonal winds. During the flight, the aircraft reached a top speed of M 0.925, with an average speed of M 0.92. 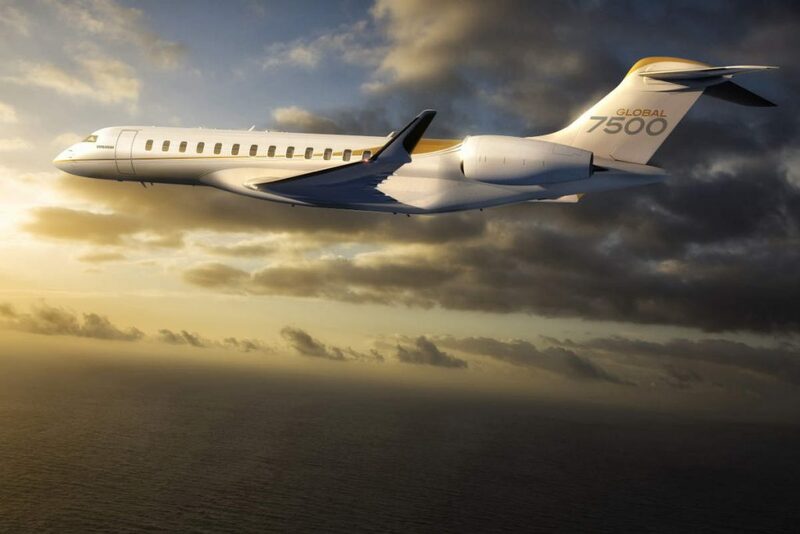 Bombardier states it is on track to deliver between 15 and 20 Global 7500 aircraft in 2019.